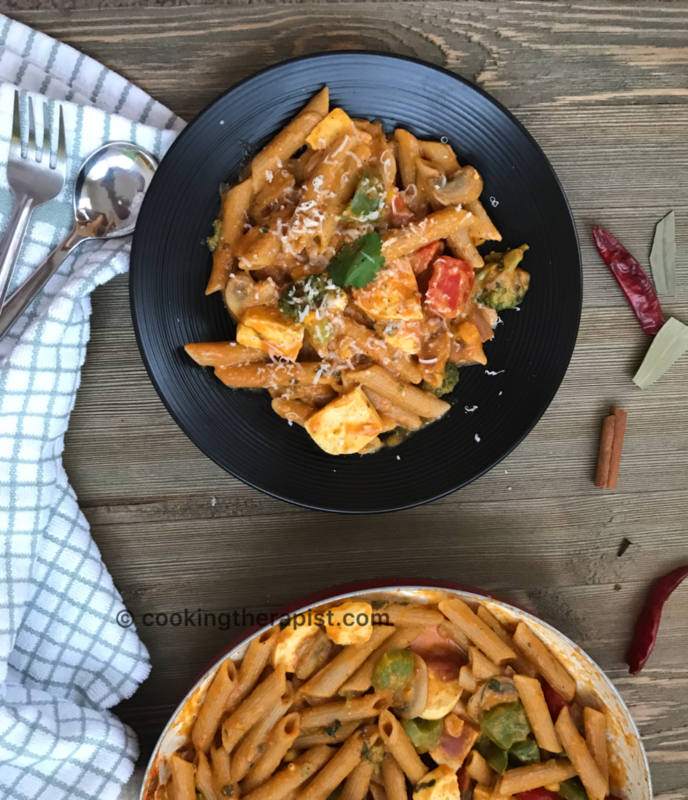 The other day, I was thinking about what to make for dinner, then thought of combining Paneer tikka masala with pasta and made fusion paneer tikka masala pasta. People love to eat paneer and paneer tikka masala curry is almost everyone’s favorite. Pastas are most kids favorite dish. 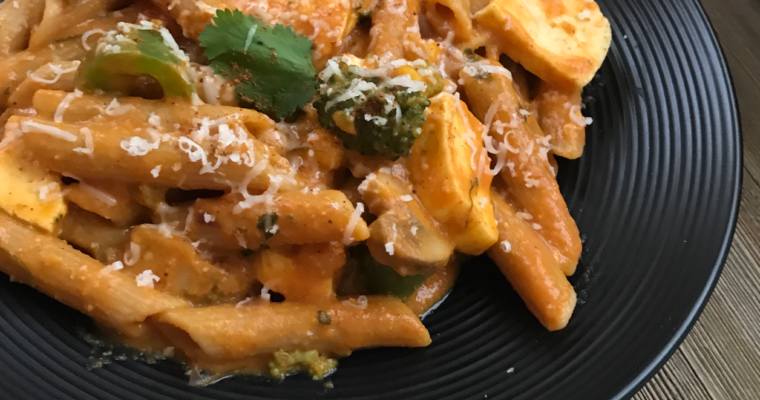 I have made this dish with organic whole wheat pasta so it is appropriate for kids – guilt free, delicious and filled with new flavors. 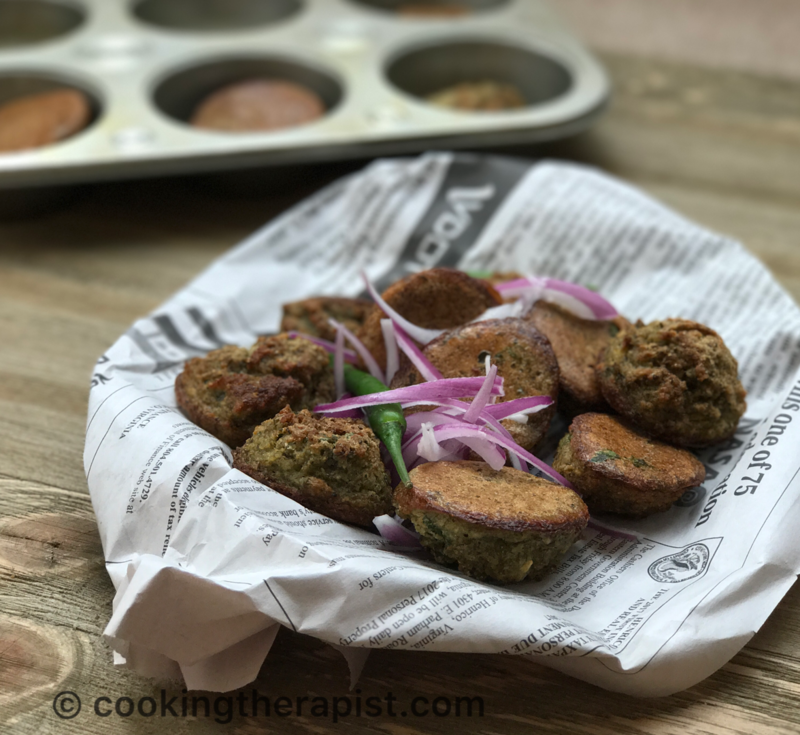 My daughter is 2 years old and she is a bit picky like all other kids – I was so happy to find that she loved this dish so much which was great. Make it for your kids and family and don’t forget to let me know how it turns out! 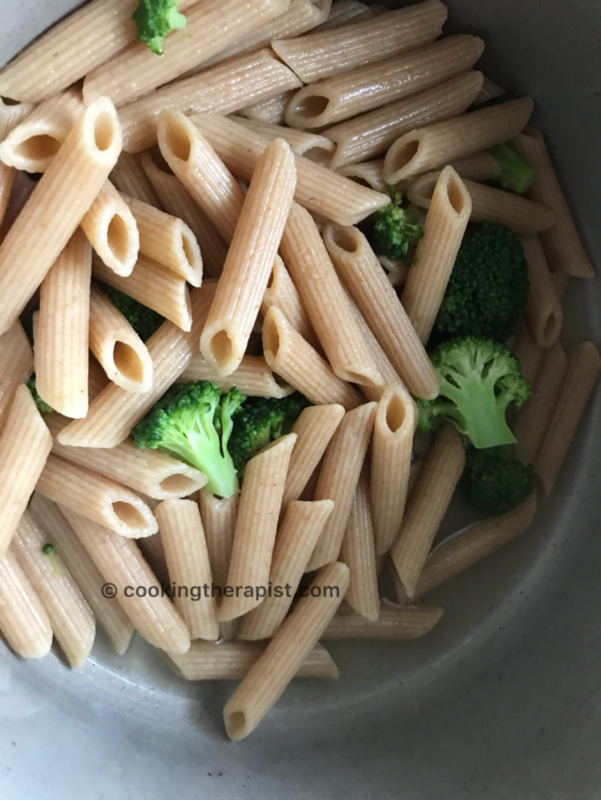 -For the gluten free version you can make it with the brown rice pasta. 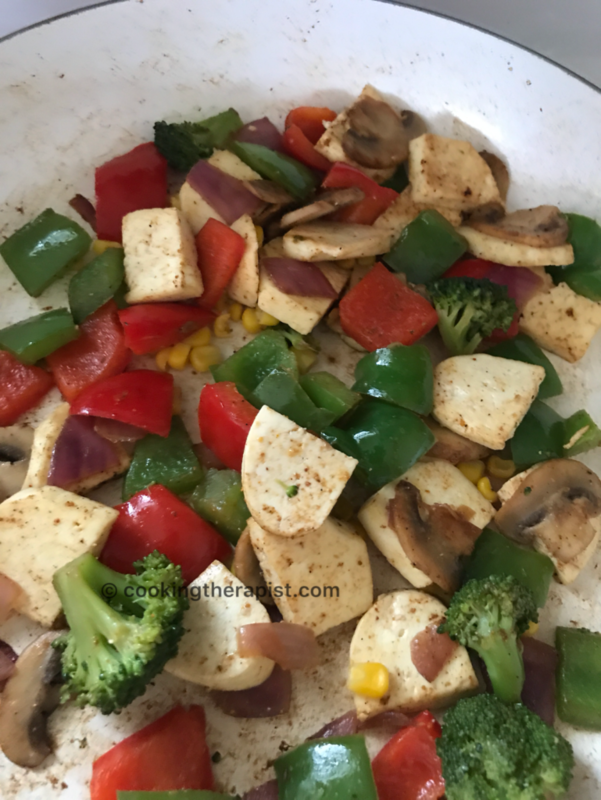 -For vegan, dairy free and low calorie version you can skip butter and use tofu instead of paneer and agave instead of honey. Check my other innovative recipes like Tawa Paneer Asparagus recipe. 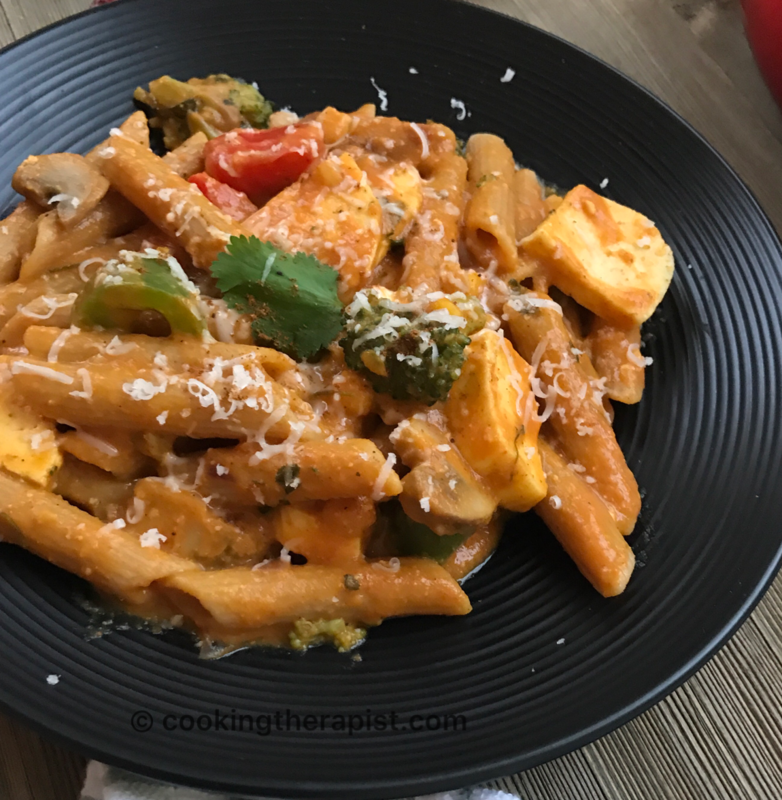 Whole wheat pasta cooked in a Indian flavor tomato based tikka sauce with paneer and vegetables. Boil ~ 1 litter of water add salt and then add pasta. Cook it till al Dente level means cook until it is little bit tender. When pastas are almost done blanch broccoli florets with pasta only for approximately 3-4 mins. For sauce blanch tomatoes in boiling water I did it in the microwave for 3 minutes. Heat oil in the pan. Add butter and bay leaf. Add ginger garlic paste and sauté it till the raw smells of it goes away. Now for making sauce, strained tomato puree in the pan. Then add all the spices for the sauce (gravy). Now add cashew paste and stir it. Let it simmer until sauce thickens a bit. Finally add dried fenugreek leaves and cream and little honey to balance the taste. Sauté all the veggies on medium to high flame. Add paneer garam masala and salt to it. Sauté it for ~ 2mins. Finally Assemble it, add paneer and veggies to gravy mix it well then add cooked and drained pasta into it. Mix everything nicely and cook it for 2-3 mins on medium flame. If you want you can add some mozzarella and parmesan cheese. instead of paneer, use agave instead of honey. Serve it hot or cold. Great for picnic, lunch box , parties or potluck. 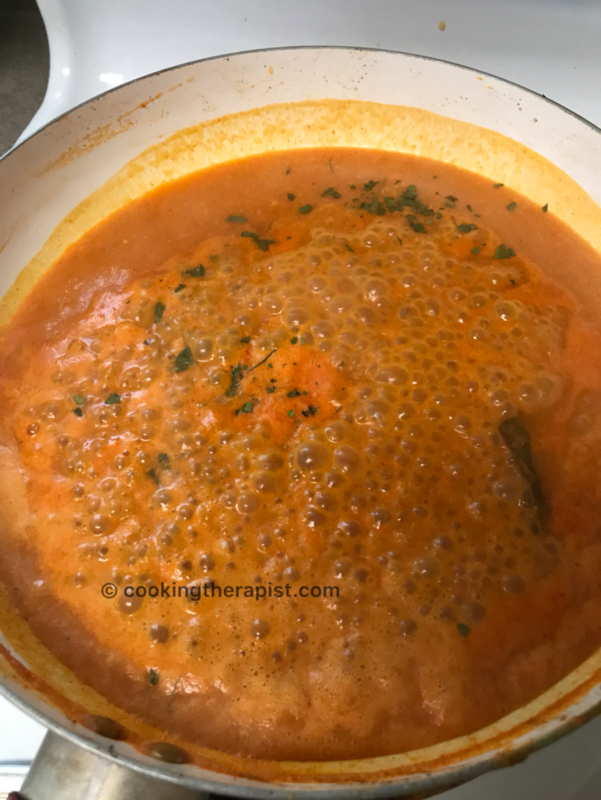 If you are running out of time and still wants to eat something healthy then do not forget to check my one pot quinoa with lentil, One pot classic tomato soup and veggie fajita pulao. 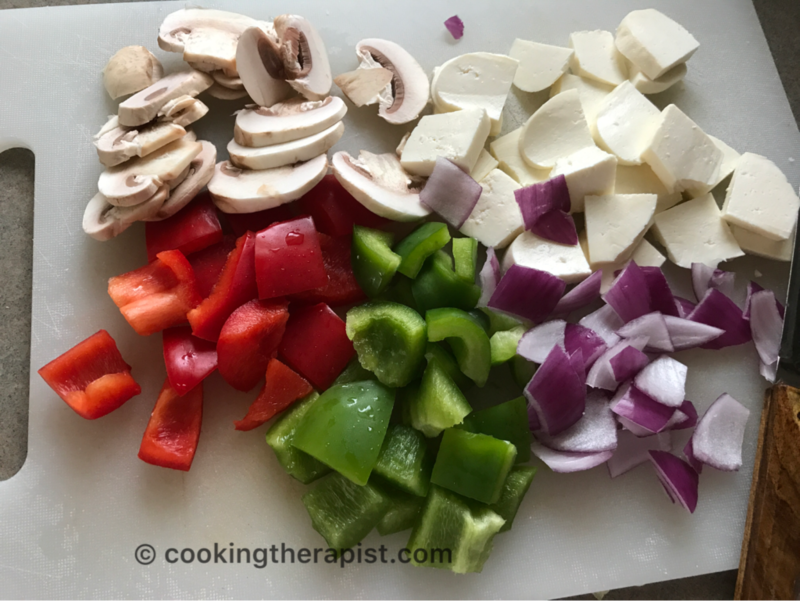 Change the way you cook with Cooking Therapist!